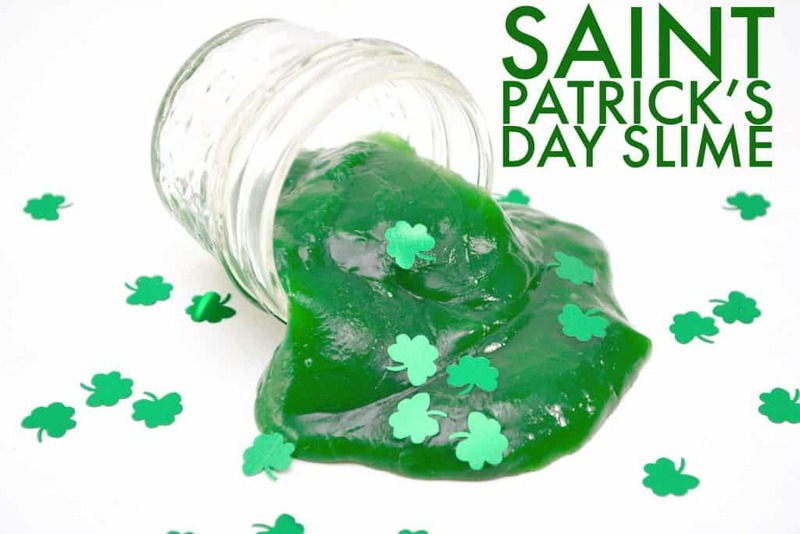 Celebrate St. Patricks Day with 13 Ways to Taste the Rainbow. Ever wonder if there is really a pot of gold at the end of the rainbow? 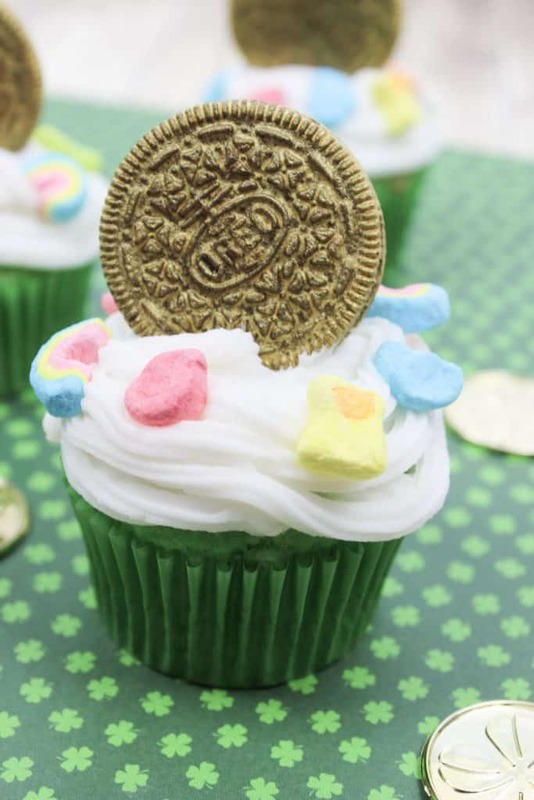 This Saint Patricks Day, celebrate with these 13 fun Rainbow recipes. 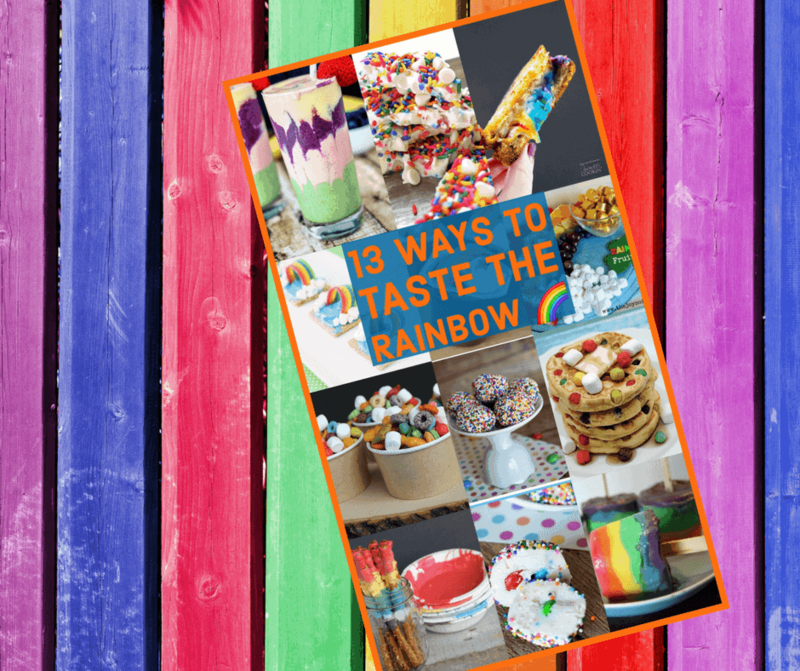 Rainbows are so fun and festive that it makes sense that you should spend the holiday with beautiful rainbow foods! Rainbow is like glitter– the more the better! 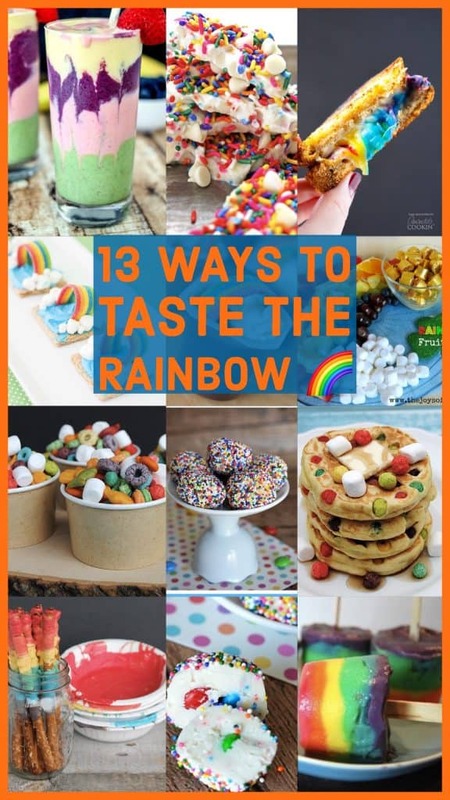 These 13 colourful food recipes are so much fun and will keep a smile all your kids faces! 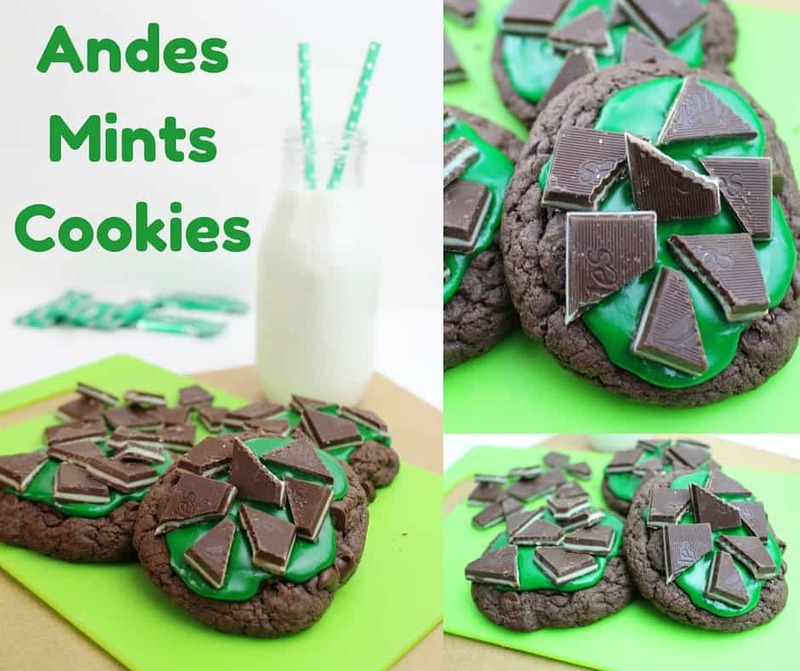 We love celebrating the holidays with Mint Fudge, green slime, glitter slime and Pot of Gold Cookies. 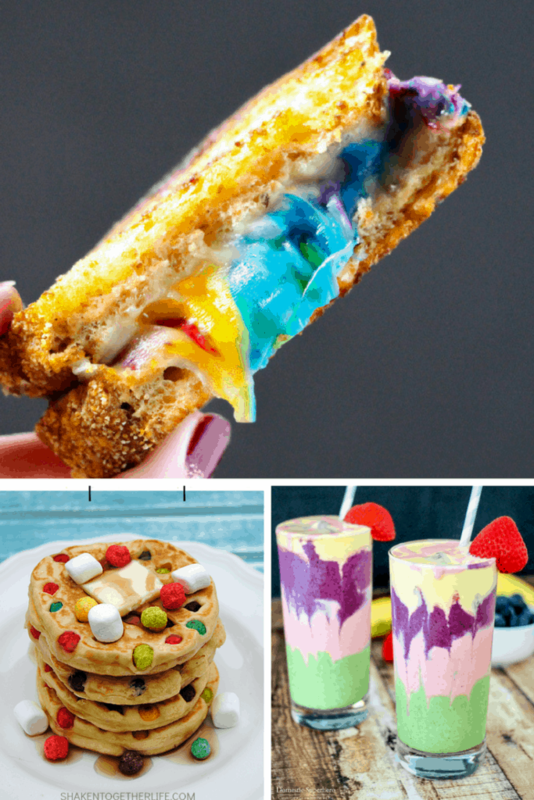 I know you will enjoy these rainbow food ideas for your holiday parties!